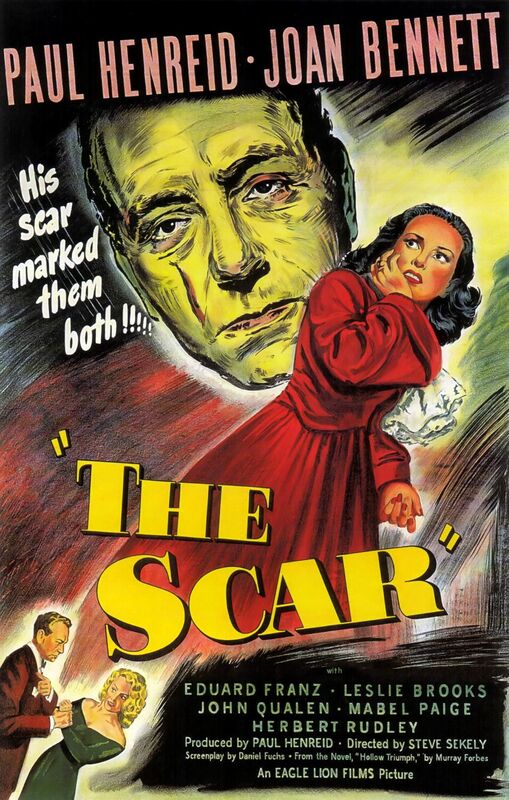 John Muller (Paul Henreid) is a crook who dropped out of med school to live a life of crime and is fresh out of prison. He plans a holdup at a casino, which doesn’t exactly work out as expected when he ends up with a gambler named Rocky Stansyck after him. Stansyck is known for exacting revenge on those who he considers enemies. Needless to say, trouble is coming for John. A stroke of luck finds John, though, when he gets the chance to assume the identity of psychiatrist Victor Bartok, who looks almost exactly like him aside from a scar on Bartok’s face. John studied psychoanalysis in med school before he dropped out, so it’s fairly easy for him to impersonate the doctor. John kills Bartok, scarring his own face (though on the wrong side) and completely taking over this new identity. Another stroke of luck finds him when nobody – not even secretary Evelyn (Joan Bennett), Bartok’s girlfriend Virginia (Leslie Brooks) or any of Bartok’s patients – notices a difference. But will he be able to keep up this charade forever, or will some consequence finally find him? Steve Sekely directs this 1948 film noir, Hollow Triumph. The film is based on Murray Forbes’ novel of the same name, published in 1946. Hollow Triumph is a bit slow-starting and difficult to become absorbed in. A lot is going on from the very beginning, but it takes a while for the material to become truly engrossing, despite the efforts of the many talented performers at work here. The intriguing premise of assumed identity doesn’t ever completely reach its potential, but is still fairly interesting to watch, and eventually the film does draw the viewer in. A number of surprises and very tense moments keep the viewer interested once the pace does finally pick up, after a somewhat dull beginning. The ending brings the best surprise, heightening the sense of thrill and suspense and giving the film as a whole a nice boost. 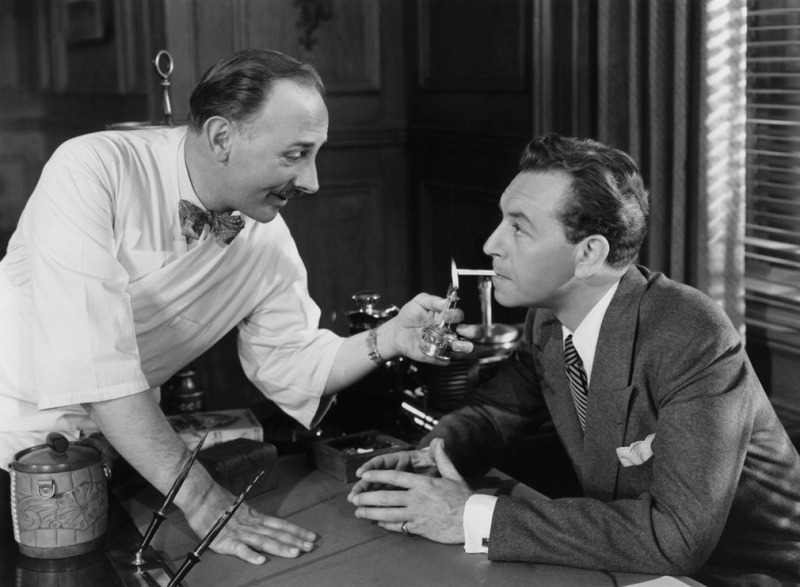 Paul Henreid’s performance is, without question, the best part of the film. He carries it, 100%. Henreid plays the role well, remaining believable throughout the film’s duration, and has great tension with Joan Bennett, whose performance can be a bit stiff here but is decent in general. The character himself is interesting as well, because he seems to see absolutely nothing wrong with his actions. John feels no remorse for killing as long as he deems the crime necessary, and he doesn’t feel that he deserves and repercussions for his many criminal actions. Aside from Henreid’s performance, the most striking elements at play here are sound and lighting, which are spectacularly utilized. Together they create a very dark energy that works well for the film, definitely giving it a boost, especially since the plot isn’t as engrossing as one would expect. I had similar feelings about Hollow Triumph – I also rather like Henreid, so I really, really wanted to enjoy it, but overall, it just fell flat. It’s not a bad film by any means, but I still felt as though it were a missed opportunity to be a classic noir. I agree completely. I’ve seen much worse, but I was expecting a lot out of it and was very disappointed as a result. Next Next post: Saying goodbye to Off Topic Thursdays… for now!